The Paige is our classic contemporary styled princess cut diamond solitaire engagement ring. This setting is a custom made piece and can suit a variety of diamond sizes at center. 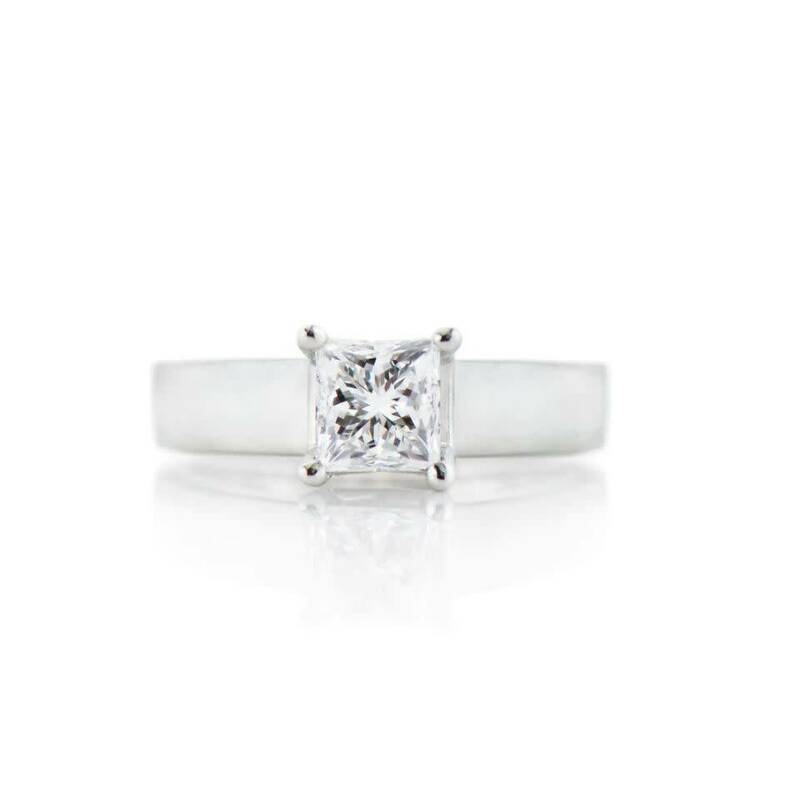 Crafted in 19k white gold, this setting is the perfect complement to the clean lines of the princess cut diamond.